This is "Jack" - he was found in the park by the shelter. When brought in he was a shaggy, matted mess - you couldn't even see his eyes. Now he looks likes this......and he weighs about 10lbs. 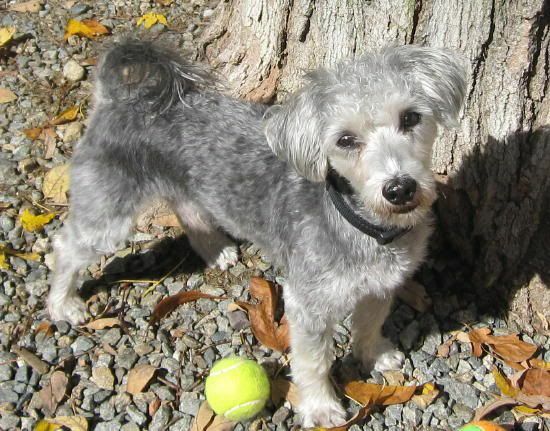 I think he looks like a "schnauzer-poo". This girl is in a foster home. I saw her yesterday when I stopped in a grooming shop for some info. Oh boy, is she CUTE! She's also about 10lbs. 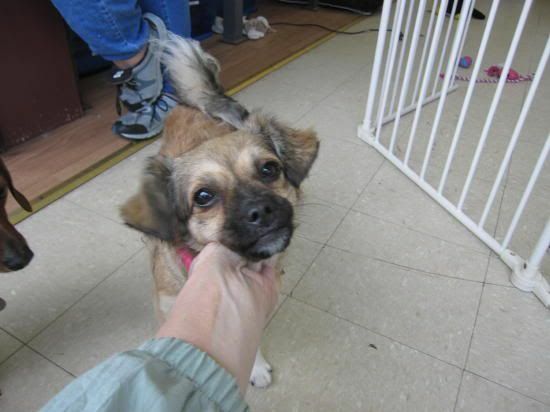 She's listed as a Tibetan Spaniel mix. They are both so cute. I think Jack definitely has some Schnauzer.....maybe a Schnoodle?????? The other looks more like a Puggle to me with some type of long coated dog mixed in. The girl kinda reminds me of my Reggie.